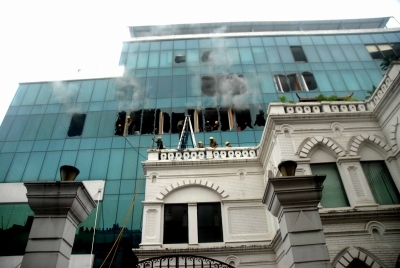 Kolkata, July 20 (IANS) A fire broke out in a multi-storeyed office building in Kolkata on Thursday, a state Minister said. “A fire has broken out in an office building on 12, Pretoria Street. 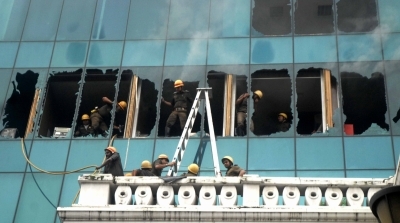 Our fire tenders have gone,” state Fire Services Minister Sovan Chatterjee said. There were no immediate reports of any casualty. Several people were rescued. 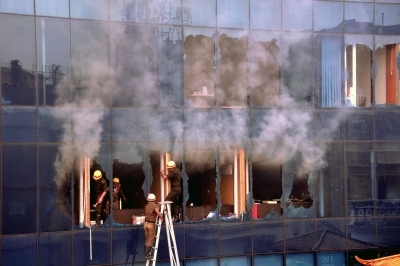 The fire broke out around 12.50 p.m.